Syria Feature: “Peace Talks” — What Did Saudis Tell Assad’s Top Security Advisor? Amid the Russian-Iranian initiative for political talks on Syria’s crisis, Saudi Arabia has confirmed that it held discussions with President Assad’s top security advisor, Ali Mamlouk, in Riyadh. However, there are conflicting accounts of what was said — and now Saudi Arabia’s official outlet Al Arabiya has withdrawn its Friday article giving the Kingdom’s version of events. Last week the pro-Assad Lebanese newspaper Al-Akhbar wrote that Mamlouk, the head of the Syrian National Security Bureau, met Deputy Crown Prince Mohammad Bin Salman, the Saudi Defense Minister. Saudi politics has always been marked by wisdom and rationality, so how can you let yourselves be led by Qatar’s sheikhdom, which has played a subversive role in Tunisia, Libya, Egypt and elsewhere. Who is Qatar to run Saudi politics and Arab politics? Our main issue with you, for some time, has been that you let yourselves be led by Iran, which is involved in a large [scale] conflict with us on the level of the [entire] region. In Lebanon you allowed yourselves to be led by Hezbollah, which is aligned with Iran, and wants to control Lebanon and turn it in to an Iranian protectorate. Al-Arabiya responded on Friday with the account of “a Saudi source”. The official confirmed the talks with Mamlouk, but he said the Assad regime had given a distorted summary to as-Safir. He said Assad was trying to show — falsely — “that Saudi Arabia was planning for the meeting without the knowledge of its allies”. He denied that Putin’s proposal of a Syrian-Saudi-Turkish-Jordanian anti-terrorism alliance. 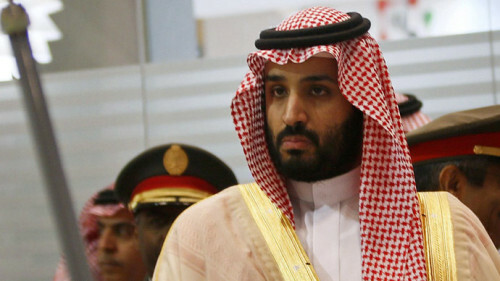 Instead, the source said Saudi Arabia had sought the talks with Mamlouk — held in Jeddah and including Russian officials — after Moscow accused the Saudis of “obstructing a political solution and fueling terrorism through supporting the opposition”. Riyadh had seized the initiative, telling Moscow that it would “bring peace and satisfy the Syrians or show the true face of al-Assad to its Russian allies”. In Jeddah, the Saudis said they and their allies “will stop supporting the Syrian Opposition provided that Iran, Hezbollah, and Shia militias get out of Syria, making “the conflict and the solution strictly Syrian”. The Saudi official concluded that the meeting had not advanced any talks for a political resolution. However, they were successful because “this has shown the true face of al-Assad regime and its lack of credibility and proved that terrorism in Syria is not perpetrated”. However, this morning the Saudi regime appears to have had a change of heart about putting forth its side of the story. Al Arabiya’s account has disappeared, with no further comment on its website about either the Putin initiative or the meeting. Syrian State media has also refrained from any reference, and there have no additional claims in al-Akhbar or as-Safir. Meanwhile, Iran has grabbed the diplomatic initiative, hosting talks with Syrian Foreign Minister al-Moallem and the Russian Deputy Foreign Minister this week. Al-Moallem then traveled to Oman, which has been a broker on issues such as the negotiations over the Iranian nuclear program. Foreign Minister Zarif is expected to travel this week to Turkey, another major supporter of the Syrian opposition and rebels, for talks with counterpart Mevlüt Çavuşoğlu. Zarif will then go to Lebanon, the base for Iran and Syria’s ally Hezbollah.